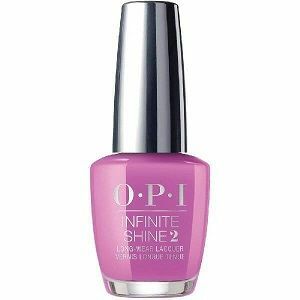 OPI Infinite Shine Long Wear Lacquer, Arigato From Tokyo, ISLT82, .50 fl. oz. Orchid pink creme nail color. OPI IS Long Wear Tokyo Collection, Spring 2019. *Please note: OPI Infinite Shine Primer (Step 1) and OPI Infinite Shine Gloss (Step 3) must be used with this nail polish for maximum results.